My boys think dinner on a stick is maybe the greatest thing I’ve ever served for dinner. 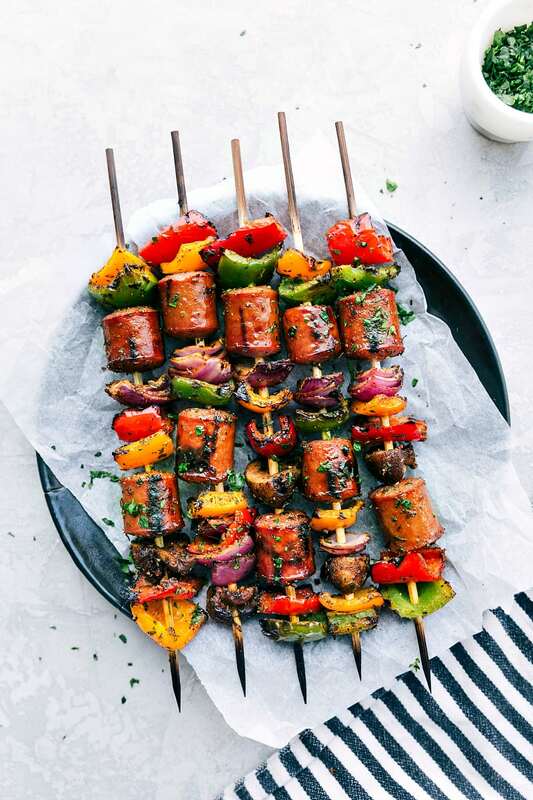 While it seems they end up playing with the food more than eating the food (sword fighting seems more obvious than eating apparently), these veggie and turkey sausage kabobs have been the hands down favorite for playing AND eating! This is my third (!) year bringing you easy summer recipes using my favorite turkey products created by Butterball. I love teaming up with them and sharing with you the recipes my family loves so much. 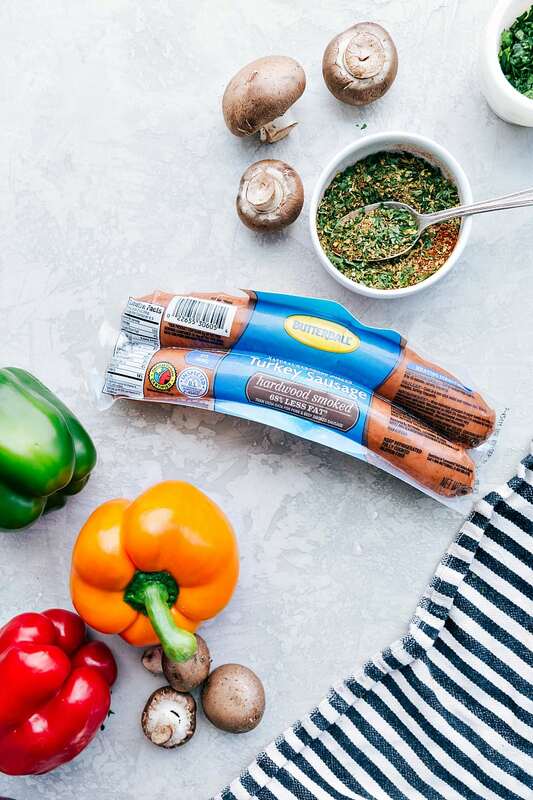 Using Butterball’s Hardwood Smoked Turkey Sausage not only makes these sausage kabobs delicious (seriously Butterball’s Turkey Sausage is the BEST! 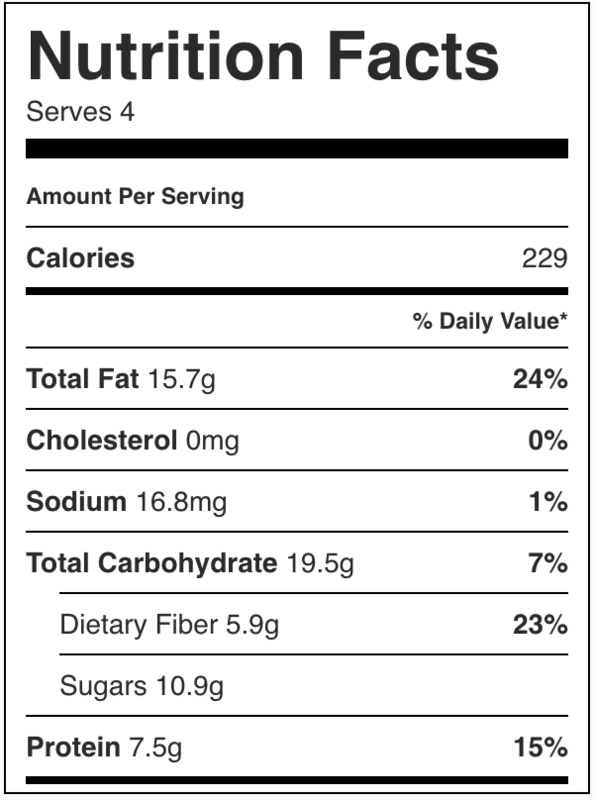 ), but it also makes these kabobs far healthier than regular pork sausage kabobs. My little turketarian boys love turkey sausage and beg for it all the time. Some of our favorites: here, here, here, here). 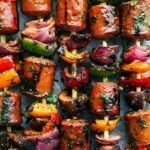 These veggie and sausage kabobs are super easy and quick to make and they require few ingredients. 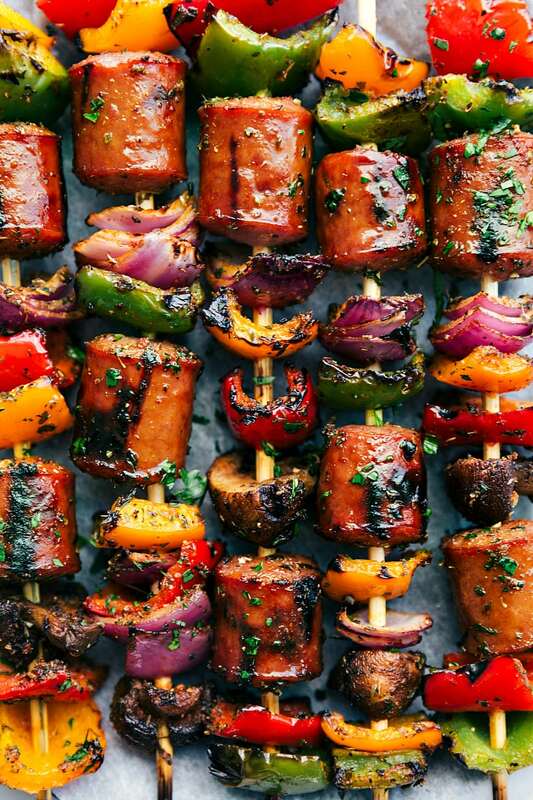 For the kabobs, we’re using Butterball’s Hardwood Smoked Turkey Sausage, bell peppers, mushrooms, and red onions. You can use whatever veggies you like or have on hand. After the veggies and sausage are prepared, all the ingredients get tossed in oil and an easy seasoning blend. 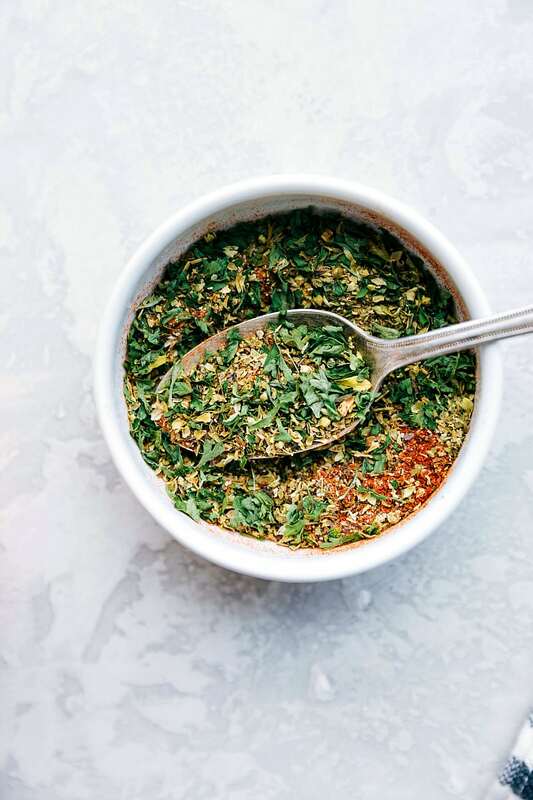 The seasoning blend adds a ton of flavor to these kabobs — and with all the flavor from the seasonings, you don’t need to marinate these kabobs in anything for them to taste delicious! Add a light sprinkle of fresh parsley and you’re ready to serve these delicious sausage kabobs! For more delicious recipes, follow along on Pinterest, Instagram, Facebook, and YouTube ? Preheat the grill to medium high heat. Soak wooden skewers in water for 20-30 minutes. In a large bowl add all the veggies and sausage. Add olive oil, oregano, parsley, garlic powder, paprika, about 1/2 teaspoon (or to taste) salt and pepper. Gently stir to combine everything. Add the veggies and sausage on the soaked skewers. Soak a paper towel in vegetable oil, roll it up, and then using tongs, rub it along cleaned and hot grill grates. Place the skewers on the grill and close. Cook for 3-4 minutes and then flip on the other side and cook for another 3-4 minutes or until veggies are lightly charred. Remove and if desired serve with some fresh chopped parsley. Special thanks to Butterball for sponsoring this post. As always, all opinions are my own!